The Durham police are searching for the suspect behind the gruesome shooting of a bank employee during a brazen, broad daylight bank heist on Wednesday afternoon. Police said the incident happened around 2:45 p.m. at a SunTrust bank branch, located at 2008 E.N.C. Highway 54. 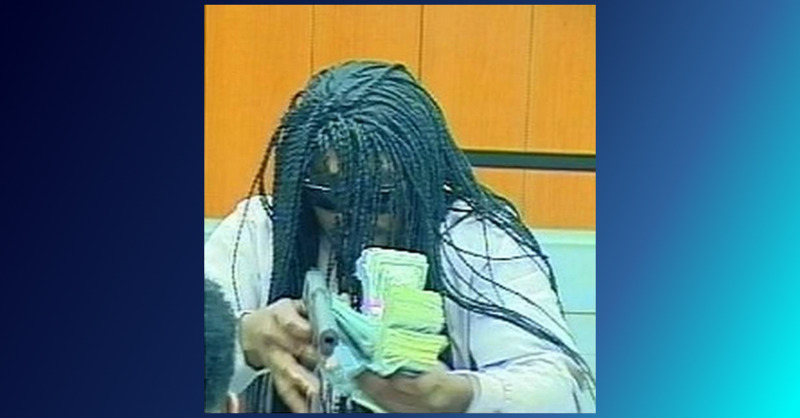 Authorities also say that the suspect entered the bank and demanded money. The bank employee was shot in the ensuing exchange. The male bank employee was wounded on the arm during the incident. Authorities have yet to reveal the worker’s identity. He was immediately brought to a local hospital for treatment. A police spokeswoman said the wound he sustained is non-life-threatening. Brian Nelson, whose wife works at the bank, said in a local media interview that she called him mere moments after the terrifying incident. He said she was hysterical. Nelson said: “All I got was 'We just got robbed, and somebody got shot,’ that's all I knew." He rushed to the scene and saw police cars. He was not immediately able to speak with his scared wife. It was also not immediately clear if there were other customers in the bank when the robbery took place. Nelson's wife said later that the suspect said something to her. She decided to get down on the floor. She couldn’t stop herself from crying. The suspect then turned to the guy next to her and shot him. Police cruisers responded to the scene as officers tried to find the suspect. So far, the only descriptive information on the suspect was that he was wearing a bandana or a mask that partially obscured his face. The said SunTrust incident was already the second bank robbery reported Wednesday in Durham. Authorities said that earlier in the day, a suspect entered the CresCom bank branch, located at 4215 University Drive, slipped a note to a teller and also demanded money. The incident happened after 11:30 a.m. It was not immediately clear how much money the unidentified suspect got away with. Anyone with information about either case is urged to call Durham police. Odds are it is Fake hair. i dig that wig… they will never suspect a white guy.